Spanish Royal Decree 3/2010, updated by Royal Decree 951/2015, defines the (Spanish) National Security Scheme (ENS, its acronym in Spanish) applicable to Spanish Electronic Administration, whose purpose is to provide a reference framework that defines necessary conditions for trustworthiness and security in using data and information by public entities. ENS scope is determined by Laws 39/2015 and 40/2015. It will be applicable to all information systems of public administration , with independence that personal data processing exits or that electronic administration was used. Private companies providing services or solutions to public entities (subject to ENS compliance) shall be able to show corresponding Statement of Compliance (for BASIC category systems), or Conformity Certification (compulsory for MEDIUM or HIGH category systems and voluntary for BASIC category ones). Why certify Spanish National Security Scheme with LEET Security? 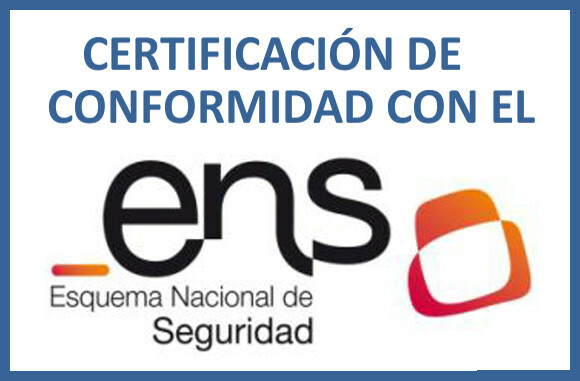 LEET Security is accredited by ENAC according to the standard UNE-EN ISO/IEC 17065:2012, for certifing conformity with ENS, recognizing the technical competence of our professionals and our total independency and impartiality, as an Agency with an only specialty since 2015 carrying out security level assessments. For these reasons, LEET Security rating scheme includes from the beginning all ENS requirements with corresponding levels of both, making that our assessment process was unique in efficiency, allowing to obtain a doble outcome: the rating following LEET Security standard plus the Conformity Certification with ENS. Services assessed in this way show compliance with both the requirements of private organizations that are using LEET Security rating for Vendor Risk Management, as those from the Public Adminsitrations that must by compliant with ENS. LEET Security is the first cybersecurity rating agency in Spain, having developed a rigorous and exhaustive efficient rating methodology that includes main national and international standards. Furthermore, the rating methodology has been recognized by INCIBE and ENISA. Contact with us and we will provide you with all the information you need about ENS Certification.